This morning I have for you a card I made for Pam's birthday. When I saw this file over at SVGCuts.com a few months back I knew that I wanted to make this card for Pam. 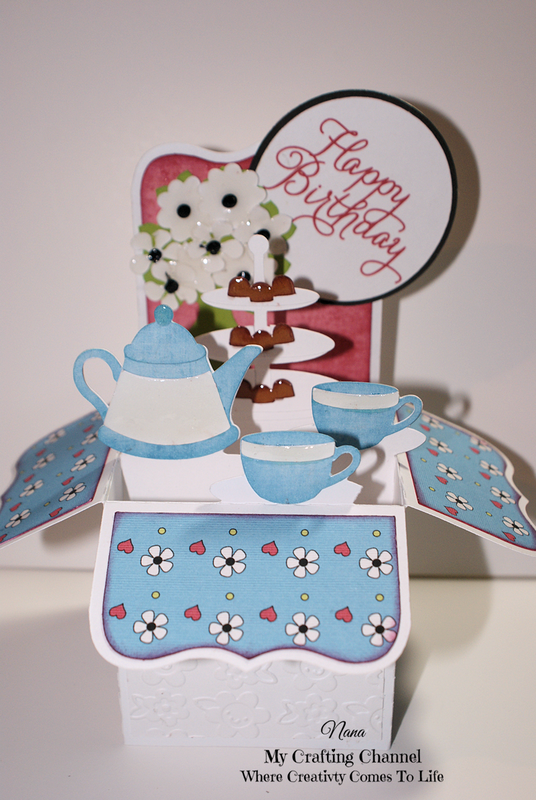 Pam is a huge fan of tea and this little card with it's tea pot and cups is just too cute. I love how it turned out what say you? So pretty!!!! LOVE this box card! This is just Beautiful!! Adore the tea set!! Pam will love it!! Oh wow, this is such a sweet card! The cups and tea pot are so stinken cute! The tray with yummy chocolates look amazing! I am sure Pam will love it! Thank you so much Nana, I love it!!! It is setting on my sideboard with the rest of my birthday cards. 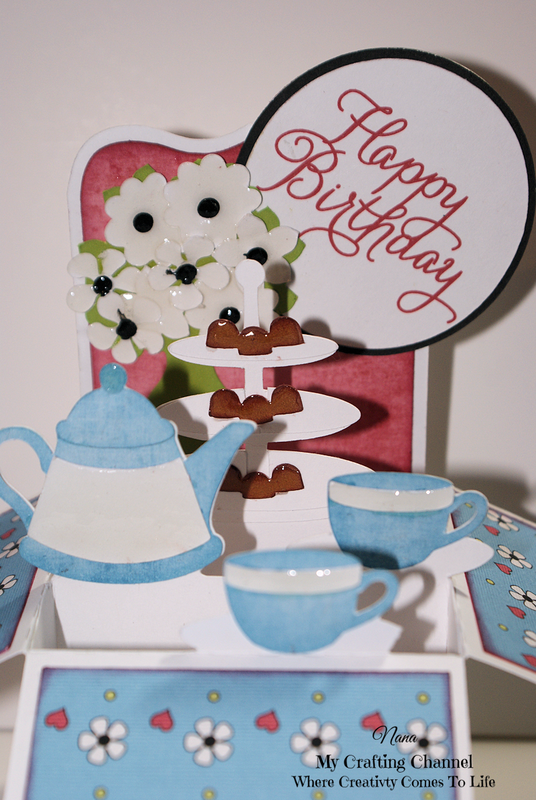 You know I love tea so this is the perfect card for me! I just love the embossing. What a beautiful box card, Nana!! Love the embossing....... just love it!! Have a great day. This is so cute I love your chocolates.